The trade turnover between China and Uzbekistan set a new record by passing the mark of $6.4 billion last year, Trend reports via Podrobno.uz. Jin Yulong, advisor on trade and economic issues of the Embassy of China in Uzbekistan, spoke about new realities of economic cooperation between two countries. She said that Uzbekistan has every chance of becoming the main supplier of agricultural products to China. Chinese consumers increasingly prefer vegetables and fruits from Uzbekistan which are characterized by excellent taste and rich in trace elements, she added. Development of cooperation with the regions of Uzbekistan is among the priority. For instance, a number of promising projects have been implemented in the Fergana region with companies from many provinces of China. There are 38 joint ventures and 24 foreign enterprises with the participation of Chinese capital in this region. Yulong underlined that one of the important areas of joint investment agreements between Uzbekistan and China is the construction of small and medium-sized hydropower plants. 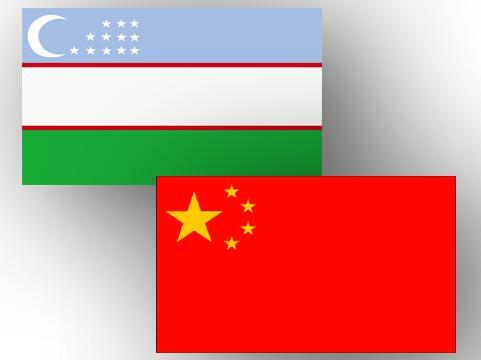 Agreements on the construction of alternative energy sources were reached during the visit of Uzbek President to China. Moreover, Yulong noted that Uzbekistan has been attractive to Chinese investors and entrepreneurs before, but it was quite difficult to attract them to this territory due to the lack of necessary conditions. Nowadays, countries are considering many joint innovation projects. During his first visit to China, Uzbek President Shavkat Mirziyoyev chose equipment from one of the largest Chinese state-owned companies Huawei to implement the Safe City project. As a result, Huawei Consumer Business Group is already cooperating with the Ministry of Internal Affairs of Uzbekistan in this direction. However, the project has been transferred to the Ministry for the Development of Information Technologies and Communications of Uzbekistan now. The project will provide the creation of parks, gardens, squares, alleys for hiking, cycling and introduce the efficient public transport system using modern technological solutions. There are more than 1,120 enterprises with the participation of Chinese capital operating in Uzbekistan, covering oil and gas, textile, agricultural, chemical and building materials industries. Almost every one of them felt positive changes in the economic and investment policy of Uzbekistan which contributes to the expansion of business cooperation and creation of new industries. In general, the total amount of Chinese investment in Uzbekistan amounts to $7.8 billion since the establishment of diplomatic relations.